Inflammatory Arthritis (IA) is a collective term for conditions such as Rheumatoid Arthritis (RA), Ankylosing Spondylitis (AS), Psoriatic Arthritis (PsA), Spondyloarthritis (SpA) etc. It is characterised by inflammation and it may be progressive in nature. The inflammation causes pain, stiffness and swelling of the joints, leading to restricted range of motion, decreased strength, reduced physical function and general fatigue. It is reported that 3% of people worldwide between the ages of 30 and 40 years will develop IA, a range where these individuals still have many working years ahead of them. In many cases, it is challenging maybe even unlikely that they re-enter the work force if they become unable to work. They are at a risk of work disability. Traditionally, IA is managed medically, I wondered if there was evidence for other interventions that could facilitate work participation, reduce days missed at work and prevent job loss. Fortunately, I got together with the Musculoskeletal Elf and found this recent review. It assesses non-drug interventions for helping workers with inflammatory arthritis stay at work! 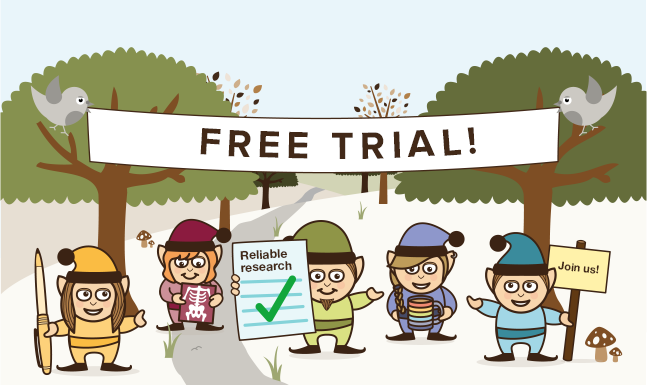 The authors searched the Cochrane Library (including CENTRAL and DARE), MEDLINE (PubMed), EMBASE (Embase.com), CINAHL (EbSCOhost), ClinicalTrials.gov and PsycINFO (ProQuest) from inception till April 2014. They looked for Randomised Controlled Trials (RCTs) that evaluated non-pharmacological interventions aimed at preventing job loss and improving work participation in adults of working age (18 to 65years), diagnosed with IA and at risk of losing their jobs. They excluded studies that had pharmacological interventions as well as studies with interventions such as physical therapy, exercise therapy, psychological and behavioural counselling that improve physical functioning, fatigue, coping and problem solving skills. They concluded that these interventions were not directly designed or administered to change work participation but may have an indirect effect on it. The authors noted that reviews of these types of intervention although non-pharmacological have been previously conducted and documented. Interventions directed at the individual such as job coaching, job/vocational training or counselling, empowerment for work and self-management including support or information regarding work or both. The methodological quality of the trials included was assessed with the GRADE approach as described in the Cochrane Handbook for Systematic Reviews of interventions. Primary outcomes were Job loss and Sickness absenteeism and the secondary outcome was Work Functioning. They found 3 RCTs with 414 participants who had IA and who were at risk of losing their jobs out of 5436 titles. The majority of participants had IA, most with RA and to a lesser degree AS, one included OA. The two smaller trials were evaluated as having a high risk of bias and the large trial as having a low risk of bias. All 3 trials first evaluated how the work environment could be changed or adapted, provided person-directed interventions including vocational counselling, advice or education for work problems or work participation. Interventions directly targeted at the work environment were minimal and included workplace visits (1 RCT) or any actions by an occupational physician (1RCT). The duration or dose of the interventions varied from two 1.5-hour sessions (1RCT) over 5 months, two consultation and multidisciplinary treatments during 3 months (1 RCT), to 6 to 8 individual or group sessions over 6 months (1 RCT). The effect of interventions provided was compared to usual care, that is, printed information about disability related to employment issues (2 RCTs) or to written information only (1 RCT). All participants were recruited through rheumatology clinics, in or outside hospitals. Investigations were job loss (n = 2 RCTs with 382 participants), work absenteeism and work functioning (n = 1 RCT with 32 participants). Duration of intervention period, contact moments, follow-up period and professionals involved varied and was different for all 3 trials. Little or no information was provided about the working mechanisms of the interventions. There was very low quality evidence across the three reported outcomes. Job loss (2RCT, 382 participants), opposite results and wide confidence intervals and one with a high risk of bias. Work functioning (1 RCT, 32 participants), moderate improvement at 6 months follow up. Although there were work place visits and consultation with the occupational physicians the workplace was not directly targeted. Low quality evidence overall for job loss prevention interventions having an effect on job loss, work absenteeism and work functioning in workers with inflammatory arthritis. 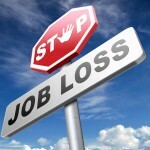 Job loss strategies have potential to be effective. 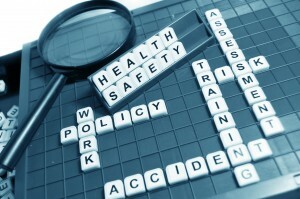 Return to work and remaining at work are outcomes that stakeholders seek when a worker is injured. Achieving these outcomes become more challenging when workers also have to deal with the chronic and progressive nature of different types IAs. Hence, early identification of individuals with IA who may be at risk of developing work disability seems highly desirable. This may facilitate optimal work participation and minimising work disability or job loss. Understandably, studies in this population are sparse and far between but were the studies in the review similar enough to be compared? The evidence was inconsistent and of very low quality given the challenge of standardization for example, of how data was collected, management of risks, variability of the outcomes measured and follow up period. The authors noted that the studies did not document sufficient information to clearly define the hypothesized working mechanisms of the interventions provided. This fact may have adversely affected the results between the intervention and control groups because it was difficult to determine if the information provided as an intervention was significantly different from readily accessible general information or “usual care”. Also, optimal work participation is the result of a balanced interplay of physical, physiological and psychosocial (Yellow, Blue, Orange, Black factors) functioning hence addressing one without acknowledging the other calls for caution in generalising the results from such studies. Needless to say that there is need for higher quality research studies that are reproducible in this population. The Outcome Measures in Rheumatoid Arthritis Clinical Trials (OMERACT) working group sets out some important criteria worth considering when selecting outcomes. What kind of information do you think is essential to give to workers with IA to improve work participation? Did the interventions provided meet your expectations? What are your thoughts? What would you do differently? Could the results of a qualitative rather than a quantitative study design have been more informative? 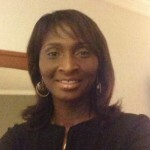 Hi, I am Abiodun Adefolarin, a physiotherapist now based in Saskatchewan Canada. I had my postgraduate training at Glasgow Caledonian University, UK and hold memberships of the Musculoskeletal Association of the Chartered Physiotherapists (MMACP), the Canadian Academy of Manipulative Physiotherapy (FCAMPT) and the Acupuncture Foundation of Canada Institute (CAFCI). Although my background is in Orthopaedic Musculoskeletal Physiotherapy, I have a special interest in a the bio-psychosocial model of managing pain especially in adults with work-related onset of pain, giving consideration to the Physical, cognitive, affective and sensory dimensions of pain and not just “the faulty anatomical structure! I adopt Cognitive behavioural strategies as well as musculoskeletal management techniques to empower my clients. I teach coping skills for self-management, aiming to facilitate their self-efficacy in the acute, sub-acute and chronic stages of the pain experience. I serve on the governing body for Physiotherapy in my province and continue to seek out avenues to achieve my keen interest in research and evidence based Physiotherapy practice. Apart from enjoying time with my family and keeping up with my active children who are into dance, sports and music, I love the outdoors, running, hiking, tending my flowers. I also love to create unique cake designs, fruit and vegetable carvings. A down time on the piano and reading a great book is always a welcomed bonus! 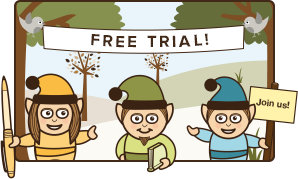 Hi Abi, Great review – good to see that you have joined the other Elves in the MSK Elf Team! I look forward to your next blog!